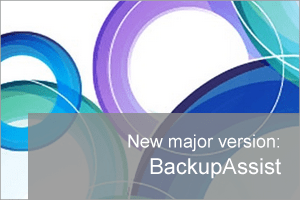 The Aussie developers over at BackupAssist have been hard at work on the latest major release of their popular backup software for small businesses, and I’m pleased to be letting you know it’s now available for download. This release is packed with new features and in this post we’ll pick out both the highlights and a couple of important notes you should be aware of. NEW: Custom Schemes to give greater flexibility and precision over the scheduling of your backups. Set your backup schedule to your exact requirements. NEW: Improved imaging backup reports that allow you to monitor what restore points you have, and a detailed breakdown of what your backup destination contains so you can better manage space management issues. NEW: Dedicated Hyper-V Set ups with our vastly improved set up for Hyper-V hosts, including simpler configuration for the most common Hyper-V backup options. NEW: Exchange Granular Restore now comes with improved Exchange account impersonation, and also PST and OST file support. Now you can open, search and restore mail items from PST and OST files. NEW: Improved installation process means you can do administrative MSI installs (no more interactive prompts). BackupAssist haven’t changed their prices for over 6 years and in this release we see a small increase to the core licence price to help them continue producing the same high quality of software we’re used to – please see the link below for full pricing information.